The cadet corps mouvement : a fine institution for our youth! At Dubé Latreille, it is important to be involved in our community, in particular to encourage our youth. As a reservist with the Canadian Forces, Me Latreille is proud to support the Royal Canadian Cadet Corps movement, an extraordinary organization dedicated to our youth that teaches them values, knowledge, team work and where they will share with their friends exceptionnal life experiences that will inspire them for all their lives. Recently, the CEO of Hydro-Quebec, Mr. Éric Martel, explained to members of the Cercle des Honoraires how his experience with the cadets had been of significant importance throughout his career. 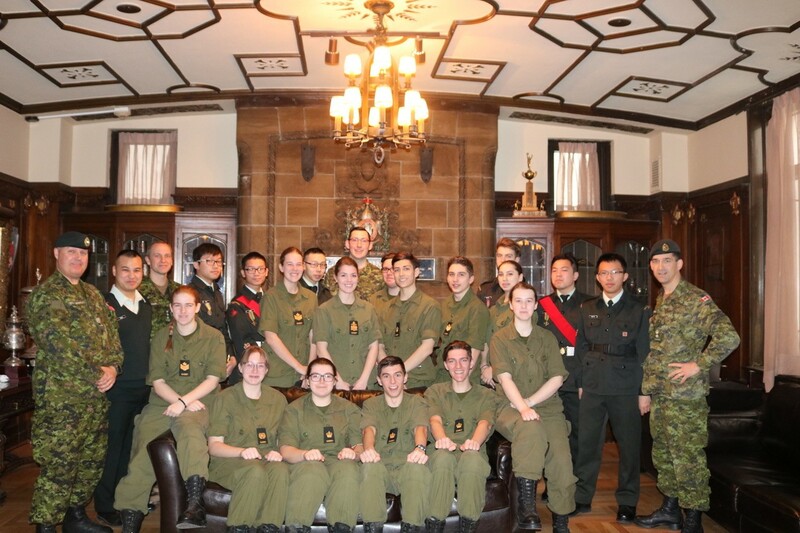 On the picture, Me Latreille and his regimental sergeant-major (Patrick Barriault) host the leadership of Chambly’s cadet corps (CC 2793) during an official visit at the Régiment de Maisonneuve.